It appears as though ​Ronda Rousey's appearance at last week's WrestleMania 35 will be her last for quite some time as the 32-year-old took to Instagram on Monday afternoon to announce that she and her husband, Travis Browne, are planning to start a family in the near future. The ​former UFC superstar kept the message short and simple, but it was just as clear. The caption read: "#impregnationvacation." This is tremendous news for Rousey and we hope that she takes as much time away from the ring that she deems necessary. 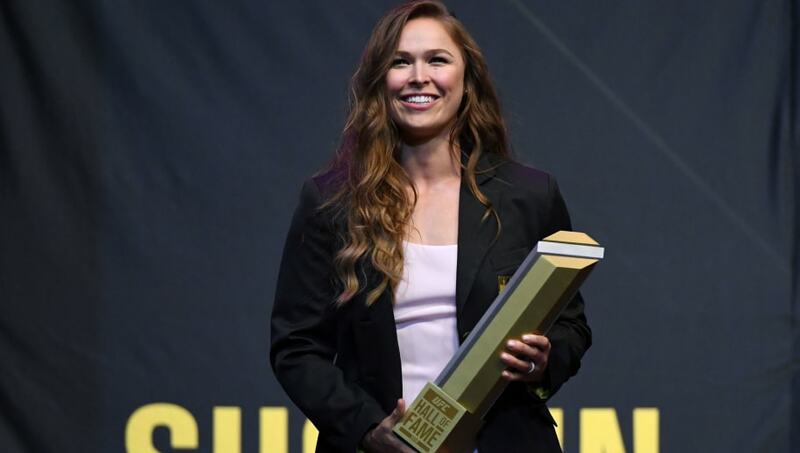 This was always expected news concerning Rousey as she had admitted to wanting to start a family in a January interview with ESPN's Ramona Shelburne. "I've not kept it a secret that I would definitely want to start a family," Rousey said in the interview. "I love this way more than I thought that I would. So do you just keep going until you just happen to get pregnant? Or should you stop and go try and get pregnant?" We'll go out on a limb and say she made the right choice. Rousey is under contract with WWE until April 2021 so we can all expect a comeback at some point, though it's not yet clear as to when that will take place.